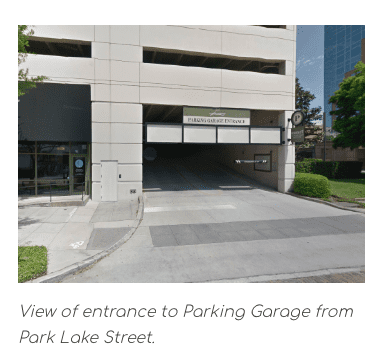 The parking garage for Knight Dermatology Institute is located at the back of the building off of Park Lake Street. Look for the hanging signs. Once you park, proceed to the glass enclosure where the elevators are located. Knight Dermatology Institute is located on the 5th floor. 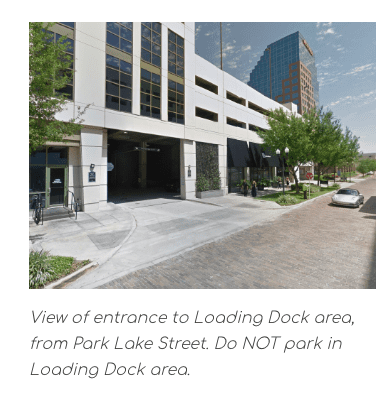 Please do not park in the loading dock area on the 1st floor (next to the trash compactors).